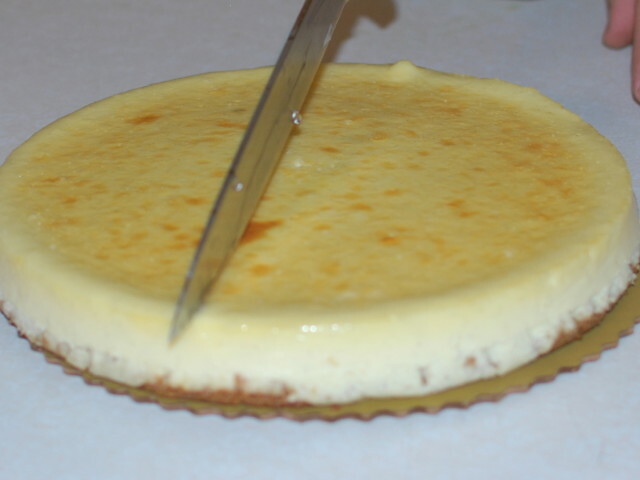 Although the cheesecake is the only star here, the hero is none other than the delightful cream cheese. Cream cheese (also called soft cheese) is a sweet, soft, mild-tasting, white cheese, defined by the US Department of Agriculture as containing at least 33% milkfat (as marketed) with a moisture content of not more than 55%, and a pH range of 4.4 to 4.9. Cream cheese is not naturally matured and is meant to be consumed fresh, and so it differs from other soft cheeses such as Brie and Neufchâtel. More comparable in taste, texture, and production methods are Boursin and Mascarpone. According to the food processing company Kraft Foods (the leading cream cheese manufacturer), the first cream cheese was made in New York in 1872 by an American dairyman William Lawrence. In 1880, ‘Philadelphia’ was adopted as the brand name, after the city that was considered at the time to be the home of top quality food. However, the technique is known to have been in use in Normandy since the 1850s, producing cheeses with higher fat content than the US model, and Philadelphia cream cheese has been suggested as a substitute when petit suisse is not available. 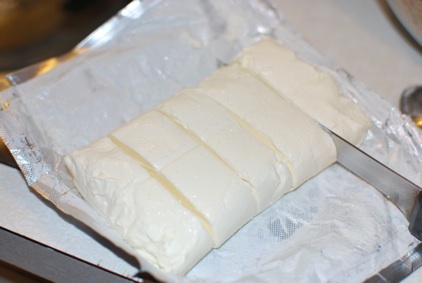 Philadelphia is used by some as a generic term for cream cheese, and in Spanish it is translated as Queso Filadelfia. 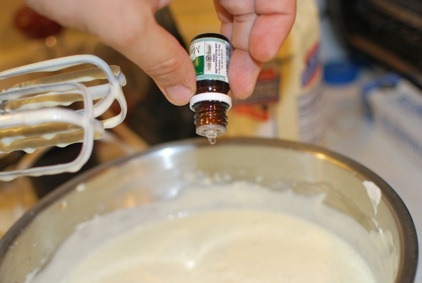 References to cream cheese in England start from at least 1754, and recipes follow soon after, particularly from Lincolnshire and the southwest of England. 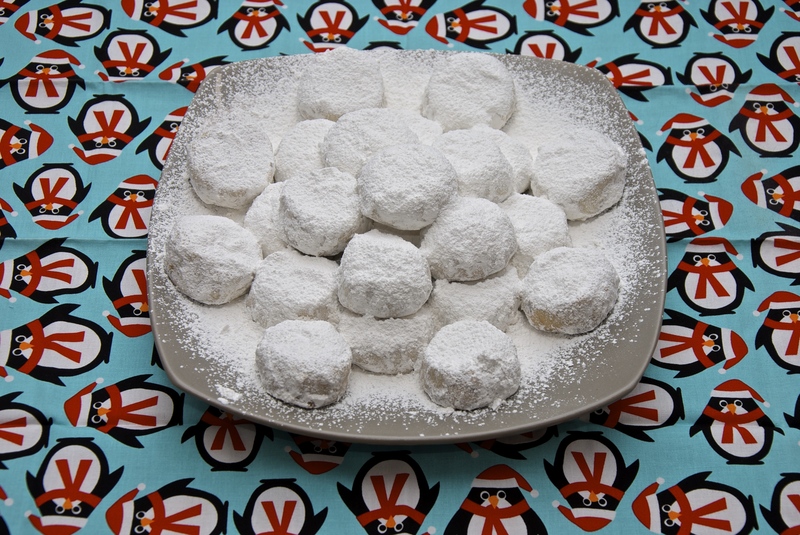 There are French references to cream cheese as early as 1651. To complement the cheese are a few only ingredients! Here are the group of ingredient that will change your life. 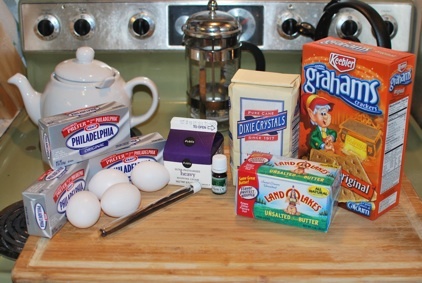 Since the ingredients are very simple I always buy them fresh right before I make the cheesecake. One less than perfect ingredient and disaster! 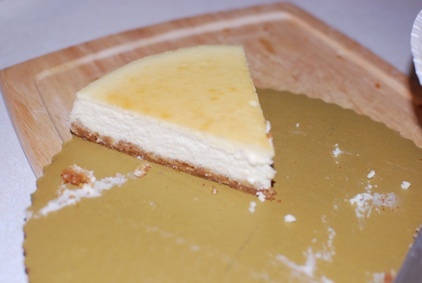 I have to mention that this is a recipe based on the award winning Alton Brown Sour Cream Cheesecake. I made it a bit lighter and less firm. 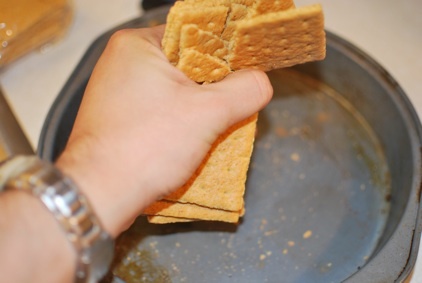 And now crack the cookies. By your hand or any other way you want. 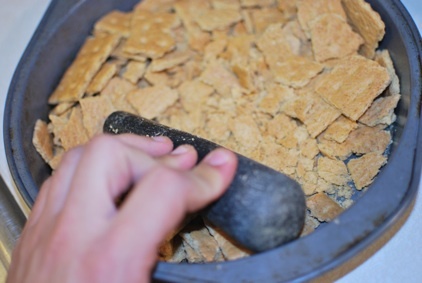 I like for example to use the mortal that I grind the spices with. Also now it will be a good time to melt one stick of butter. This is what I like. 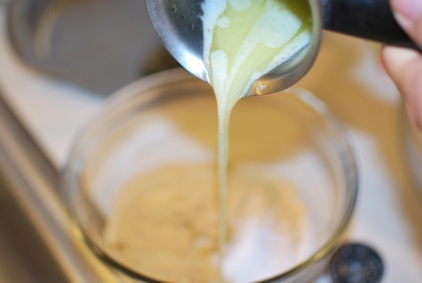 Finer than that and the crums will adsorb all the butter. 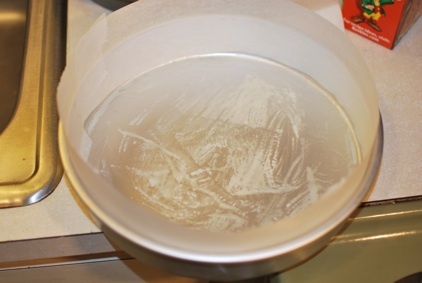 While we wait for the butter to melt, we must do some pan prep! 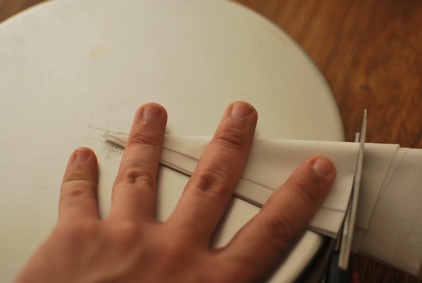 Measure a piece of parchment paper that comes all around your pan. 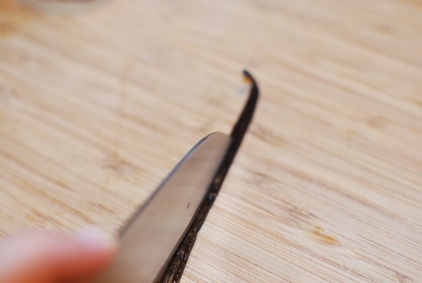 Cut a strip of about one inch higher than your pan depth. Arrange that the remaining can cover the bottom with a small margin around it. 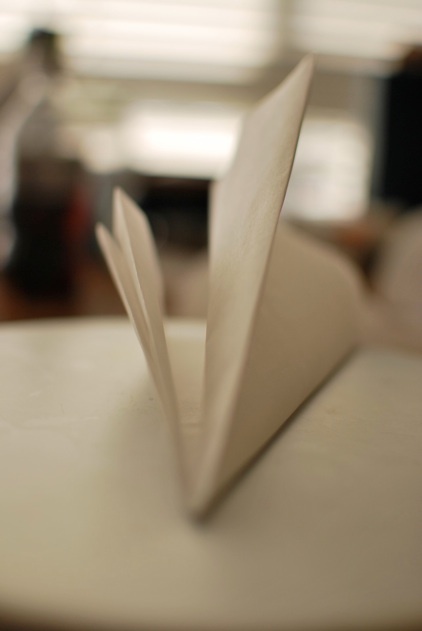 Fold four times like this. 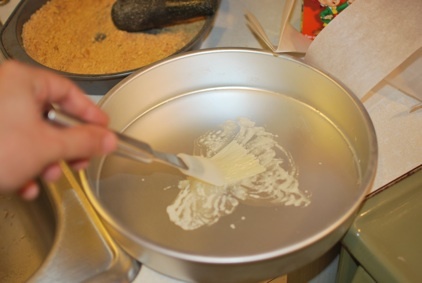 Put it in the center of the pan and cut it around so when you unfold it it will be a notch larger than the pan area. 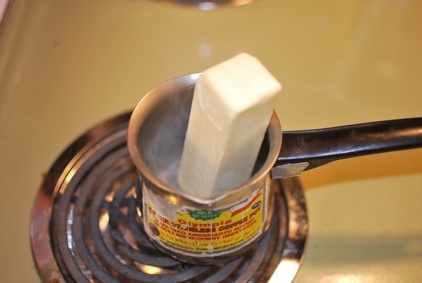 Butter up the pan all around and bottom. 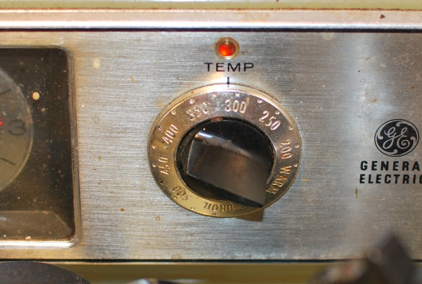 Place the strip to the wall of the pan. And the disk to the bottom. Just like this. 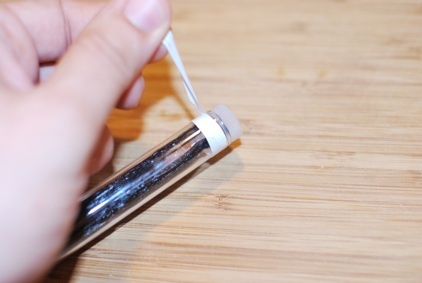 You don ‘t want any gaps that can allow the mixture to leak out. and follow that with the butter. 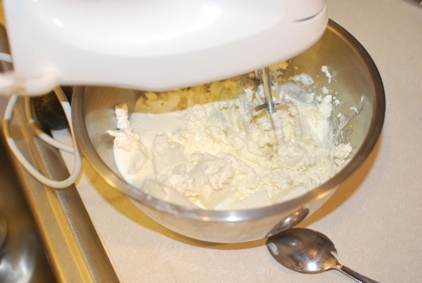 Quarter pound butter… So freakin good!!!! 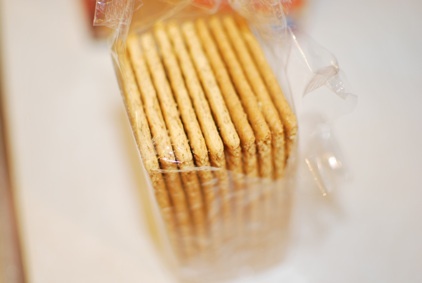 With a spoon press the crackers on the pan to spread evenly. You need a nice and uniform tasty crust. 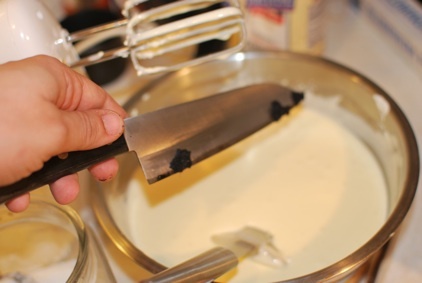 From now on everything is easy… That’s why I never make one cheesecake. Two is always better than one. Set your oven at 300 F and bake the crust for 10 mins. Just to make it nutty. Did I mention that two is better than one? 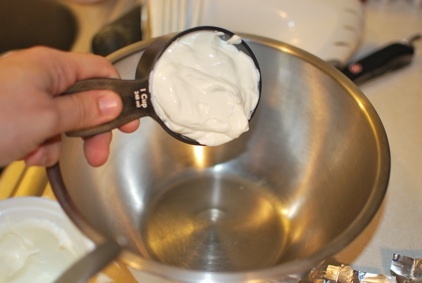 Start by 1 cup of the sour cream. 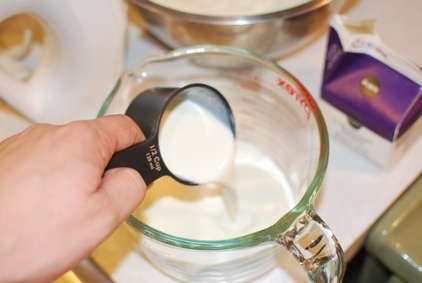 You can use yogurt but up the sugar since the yogurt will be a little bit more sour. 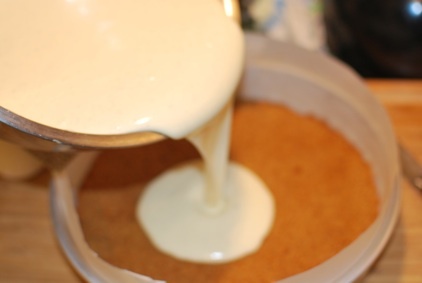 Although I make two cakes, I mix the ingredients for each cake separate. 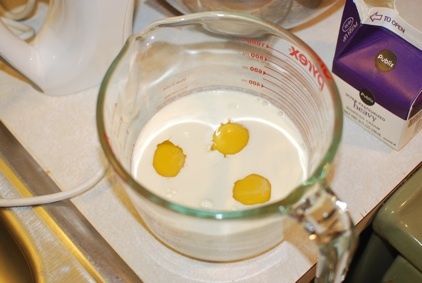 Upscaling the recipe reduces the mixing and correct integration. 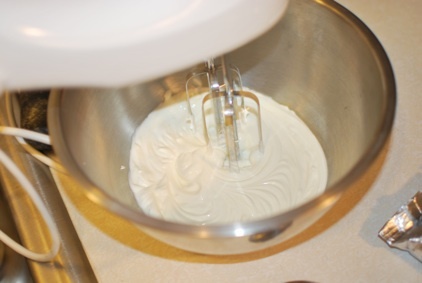 Beat up the sour cream till it becomes smooth and very liquidy… Best thing for the job a hand mixer or a stand mixer. Cut the cheese… (hahaha) to make it a little easier to integrate it. 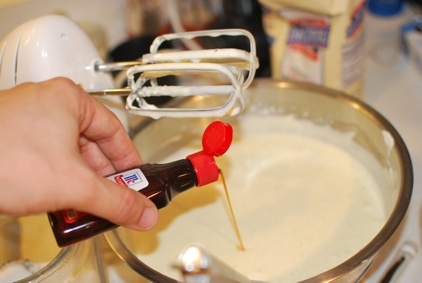 Mix the cheese very well. It will resample the cottage cheese for a while. Maybe a little more than a while. Just keep on that. The mean time don ‘t forget to take out of the oven the crust. 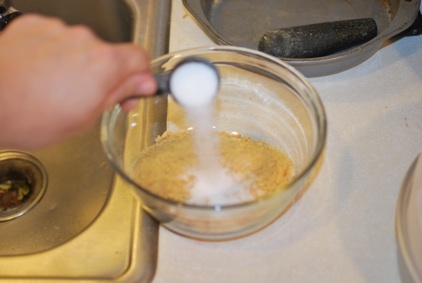 Once the cream cheese has reduced to the size of rice grain, add the sugar. 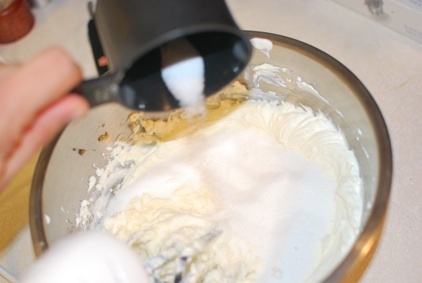 The sugar acts as abrasive and helps to liquify the cheese. 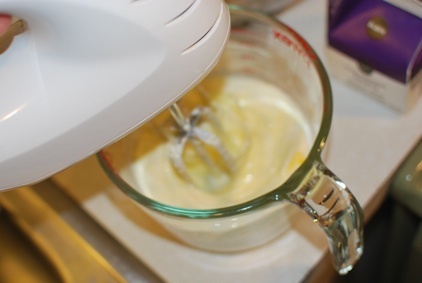 Mix the well with the hand mixer. 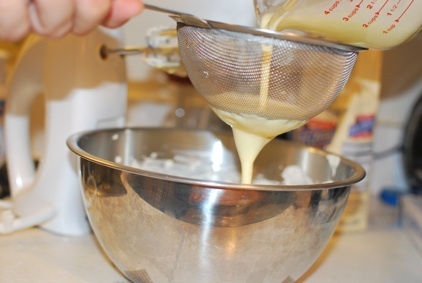 Pass the mixture through a stainer. This part of the egg not very appetizing. 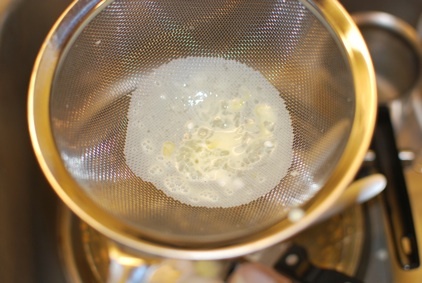 That ‘s why it is recommended to use the strainer. Flavoring time!!! Vanilla is the base. 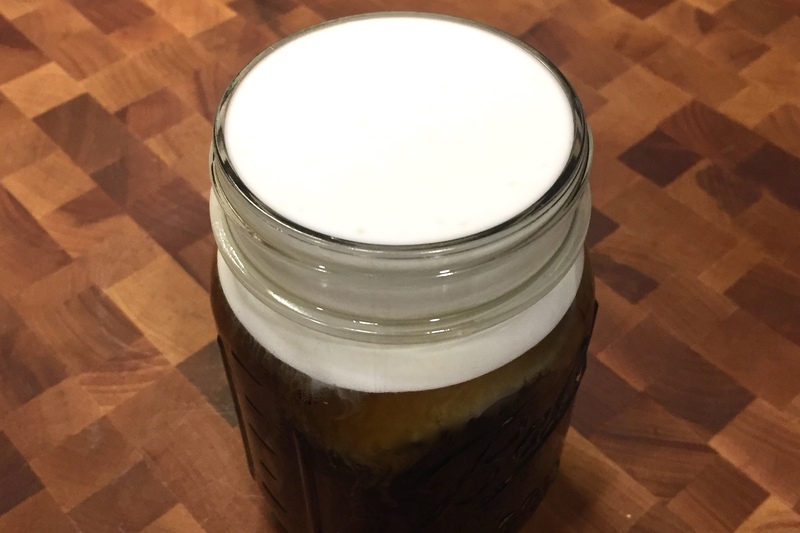 You need to add this to build up the flavors. Imagine it as the white color, the primer that goes on all canvases. And scrape of the seeds. Add them in the mixture. 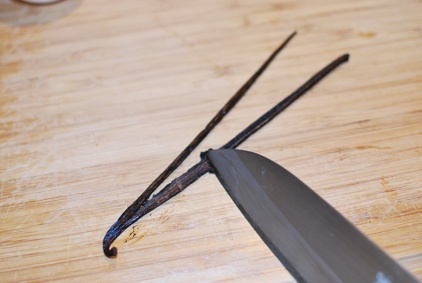 This bean was a bit dry so I add a little bit of Vanilla extract, to up the flavor a little. Now is a good time to add the flavoring you like. 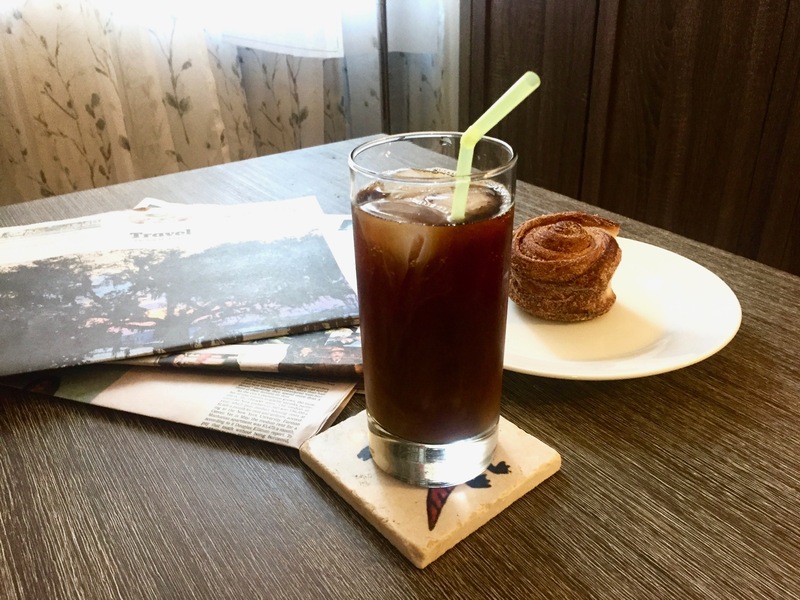 I love masticha extract. It is amazing in dairy products. See here more info about this amazing greek spice. 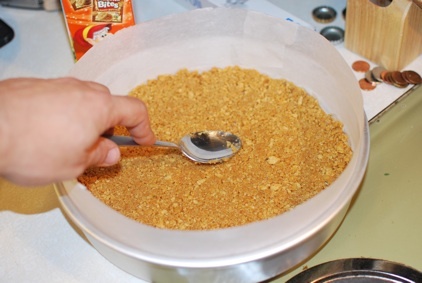 Pour in the mixture in a cool crust. Cool it is important. Ok? Cool. Now the weird part. 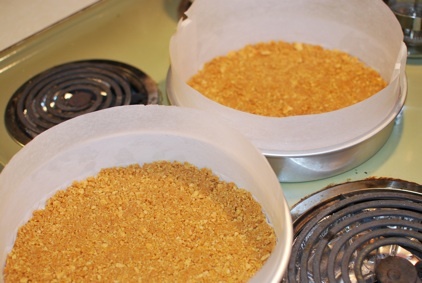 Start with a hot oven heated at 200 F. Take another pan that is a little larger than pan you are using and add the towel. We are basically making a water bath to regulate the rate the heat moves in. 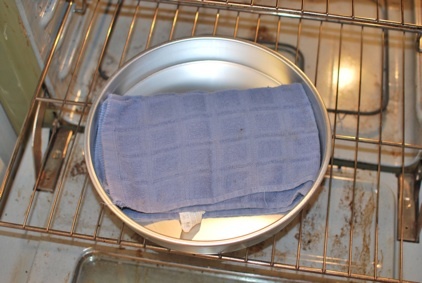 If we skip the towel then the bottom of the pan will have no water barrier which defies the purpose. 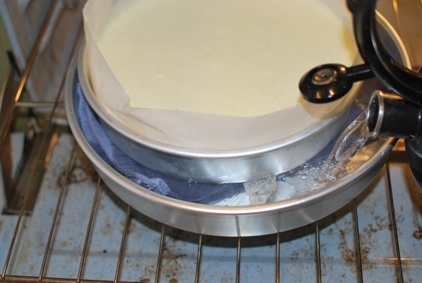 This will raise the pan enough so it does not touch directly the bottom. Put the pan and add the hot water. Cook at 200 F for about 45 mins or till the surface becomes a little brown. 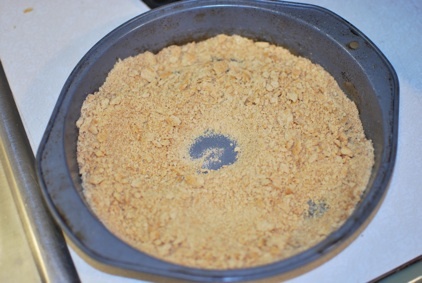 Once done, take it out and let cool completely in room temperature. You will know you did a good job when the cake pulls away from the walls. 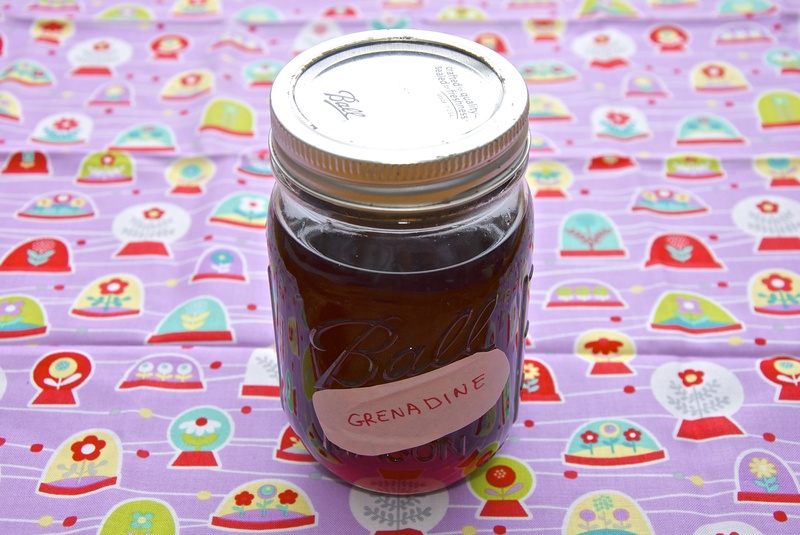 Refrigerate for at least 6 hours. I do not have any de-molding pictures but the process is quite simple. 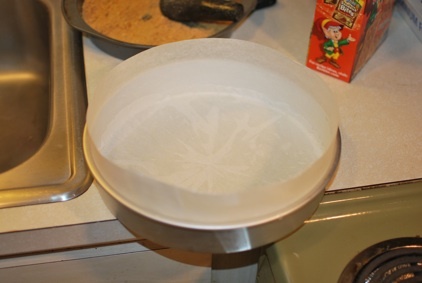 Insert the pan in there to melt of the butter than holds the various parchment papers in place. Pull out the strip. It should come out with no problem. 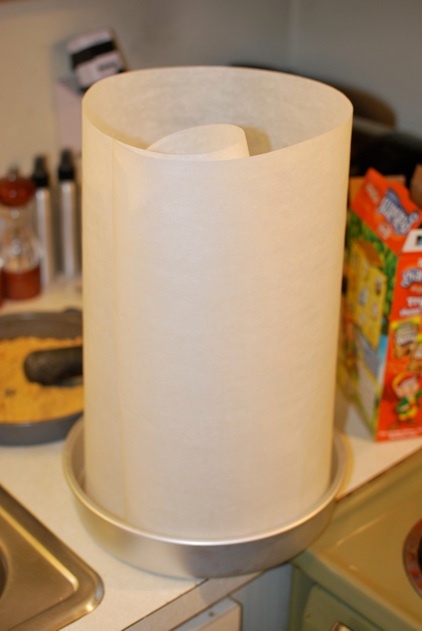 Place clean parchment paper and cover the cake. 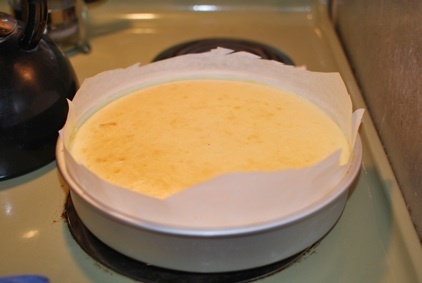 Take a pan or plate that is a little smaller than the pan the cheesecake is in and put it on top of the parchment paper. 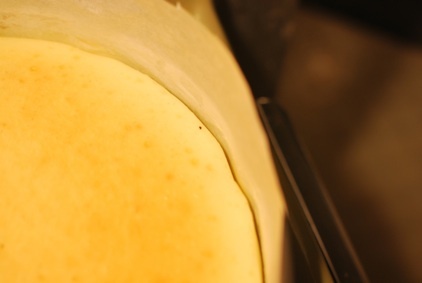 The bottom straight on the parchment. 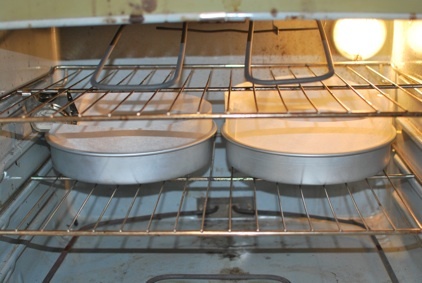 Imagine putting one pan in the other. Pretty much how you flip an omelete but with the parchment as stickage insurance. Flip. 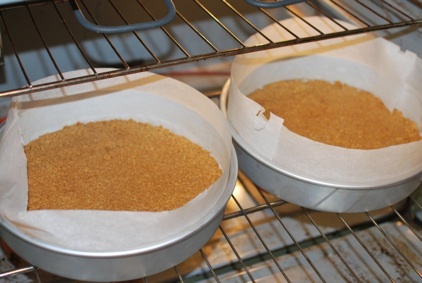 The cake now should be upside down in the new pan or plate. 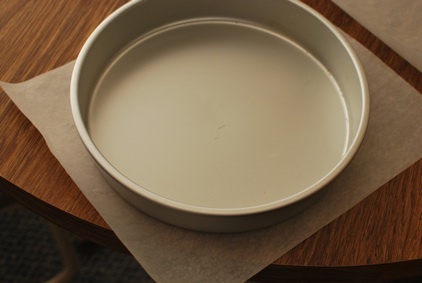 Remove the bottom parchment paper and repeat the process on the actual serving plate. I use cake rounds I get form the bakery at my local mega mart.